Homework, essay, thesis, dissertation: these words sound familiar to everyone. There are students who have already written things like those, and there are others who are just about to. While it is true that sending the teacher a paper via email may sometimes be a solution in our modern age, it is still the printed version that is officially accepted. Is there anyone who has never put off a home assignment until the very last moment? Anyone not wanting to finish his work before the final deadline and still be able to print, copy or staple it in no time? However, it is not easy to arrange for stapling a diploma in a hurry, finding your way in downtown basements in an unknown city, looking for a hidden book binding shop, which might have closed down long ago. But we have good news now! 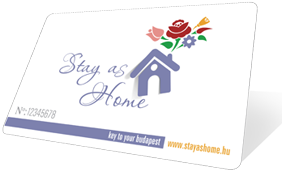 You can find COPYGURU copy shops in eight locations in Budapest, all of them near universities or busy thoroughfares, where our young professional staff are ready to help you. Wanna copy or print a paper, or staple your thesis? Visit COPYGURU!